Nissan’s next big thing for the Indian market will be a compact SUV, which will go up straight against the Hyundai Creta. 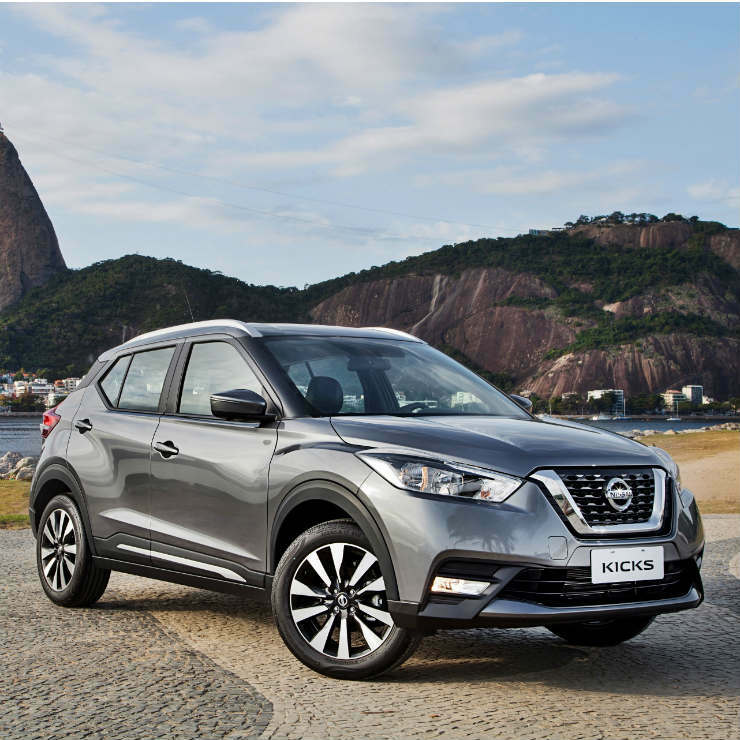 The Kicks is the name of this SUV, and it’s already on sale in South American car markets. However, the version green-lit for the Indian market will be quite different from the international variant in that it’ll use the- Zero platform that also underpins the likes of the Renault Duster, Captur and the Nissan Terrano. The India-spec Nissan Kicks will also be larger than the international variant, but will continue to be a five seater. We anticipate a more spacious SUV thanks to the overall increase in dimensions. As for mechanicals, the Kicks will be the second SUV from Nissan to use the 1.6 litre naturally aspirated petrol and 1.5 litre K9K turbocharged diesel engines. Notably, the state of tune on these engines are likely to be 104 Bhp-140 Nm for the petrol and 108 Bhp-240 Nm for the diesel. The petrol engine of the Kicks is expected to use 5 speed manual and CVT automatic gearboxes, while the diesel motor could be offered with 6 speed manual and AMT options. As for pricing, the Nissan Kicks is expected to be slightly pricier than the Terrano, with prices starting from close to Rs. 10 lakhs. While the Nissan Kicks will share it’s mechanicals and platform with the Terrano, styling and interior design will be totally different. The Nissan Kicks will be more premium than the Terrano and is also expected to pack in many more features. In fact, it’ll be the Nissan brand’s first new vehicle for the Indian market in years. A lot will be riding on the Kicks as far as Nissan is concerned, and the Japanese automaker will be hoping that the SUV catches on with buyers, and gives the Hyundai Creta stiff competition. Pricing for the compact SUV will be very crucial. Nissan can’t afford to do a Terrano with the Kicks.